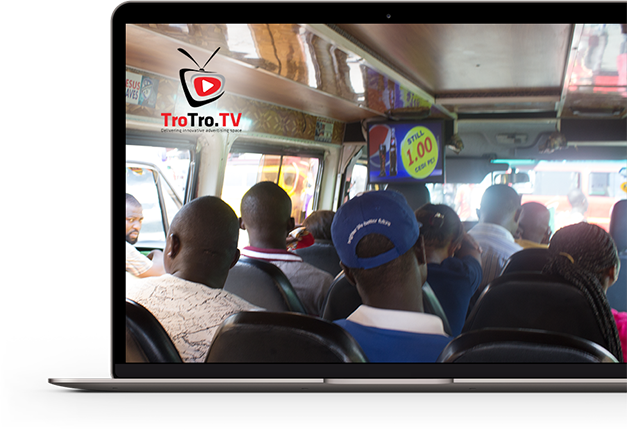 TroTro TV delivers your brand a unique platform to reach consumers whilst their out and about on their daily commute. Unlike conventional television advertising, TroTro TV cannot be switched off nor can the channel be changed, which allows us to deliver you guaranteed impressions to new and potential customers throughout the day. 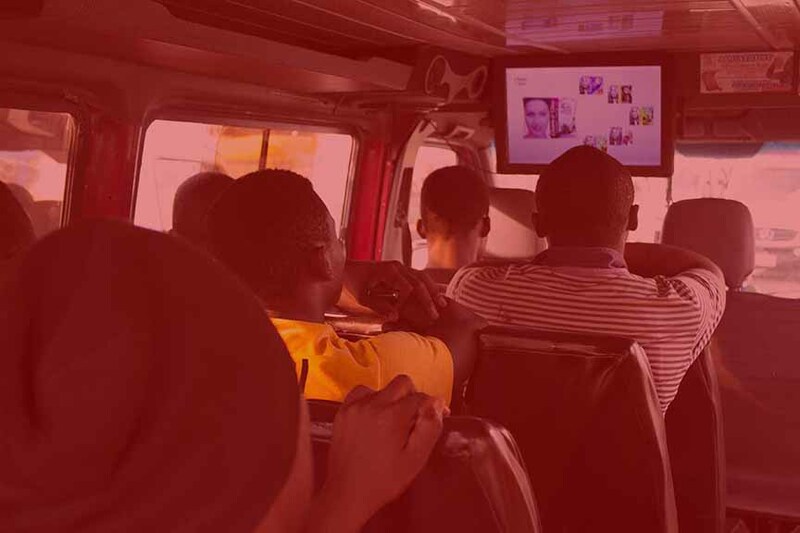 With the world bank reporting that over 70% of the population are taking TroTro on daily basis, and less than 50% having access to TV we can help your business reach unreachable. TroTro TV is hard wired to our vehicles ignition systems, meaning that once the vehicle is on, your commercial is playing.